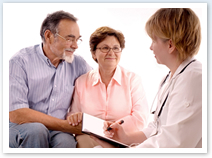 Home Health Care in Downey, California 90706, Archangel Home Health Inc. If you are a licensed health care professional, come talk to us. We know you are unique, and we value diversity. With us, we consider our team as family. In every stride we take, they are never left behind. Let's see if you can be a part of our family, too! 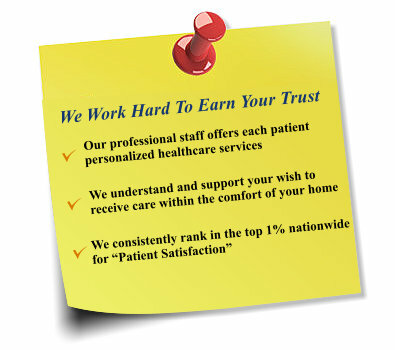 Welcome To Archangel Home Health Inc.
Everyone feels most secure and relaxed in their own home. It should come as no surprise, therefore, that medical studies confirm it’s where the body heals best and recovery time is reduced, especially when compared to the cold and impersonal environment of a hospital or Nursing Facility. Archangel Home Health Inc. is a team of licensed nursing and health professionals dedicated to your speedy recovery through the range of services we offer which include nursing, therapy (physical, occupational and speech), counseling, and diet planning. Best of all, you’re taken care of in your home setting. We provide optimum clinical care to residents of selected cities In Los Angeles, Riverside, San Bernardino, and Orange counties. Call us to find out more at: (562) 861-7047 We’ll coordinate with your physician to get you started. Pursuant to the Civil Rights Act of 1964, the Rehabilitation Act of 1973, and the Age Discrimination Act of 1975, Archangel Home Health Inc. adheres to an equal opportunity policy for all persons seeking admission as patients to the agency, or seeking employment, or currently employed, by the agency. The agency does not discriminate on the basis of age, race, color, religion, military status, marital status, gender or gender preference, national origin, or disabilities.